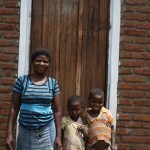 The best part about what we do at Building Dreams is hearing how we've affected real change in the lives of real women. We hope you enjoy reading these heartwarming stories from Malawi! 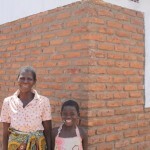 Friends of Canada – an incredible video of women talking about the transformations that Habitat for Humanity Malawi helped create. Click here to watch the video. 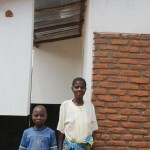 Angaliwawo Tchale has a new story, she now owns a new and decent house, with a wide smile on her face she narrates how terrible life was before she occupied the house build by the support of Canada. “Habitat for humanity and the well- wishers from Canada came at a point of need, my life has completely changed. We are no longer living in fear or worried during rainy season, sometimes when I sleep in this house I feel like I am dreaming, my life will never be the same forever” said excited Angaliwawo. Anjira’s house is now complete and they have occupied it. The very little money they used to buy grass and plastic sheet to roof their house is now used to buy basic needs at the house hold. All the pains and sufferings in a dark and dilapidated house for years are forgotten. 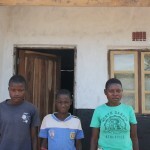 The children are no longer facing challenges as they used in that nightmare house, they proudly go to school. When the news was told to Eda Saopa that her family would soon own a Habitat house it was very unbelievable to them, they never ever dreamed of sleeping in a decent house after a long time of suffering harsh conditions sleeping in a dilapidated house.